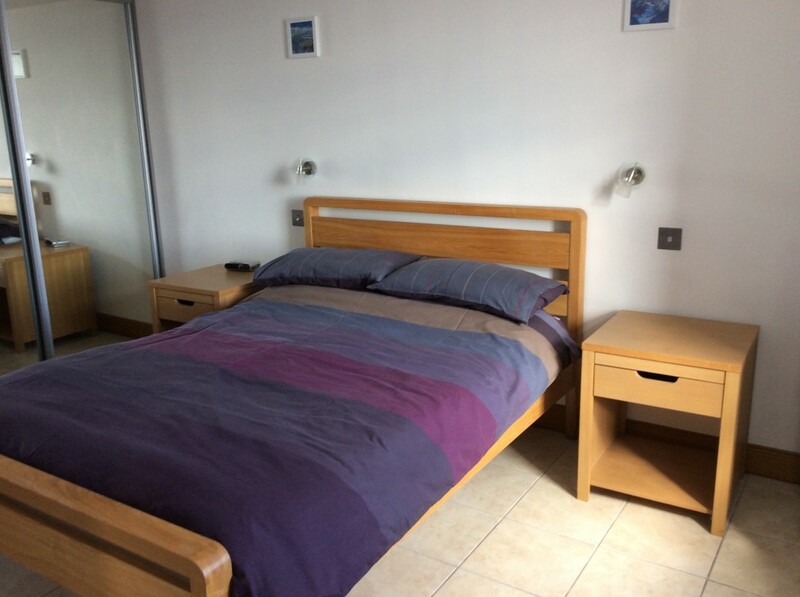 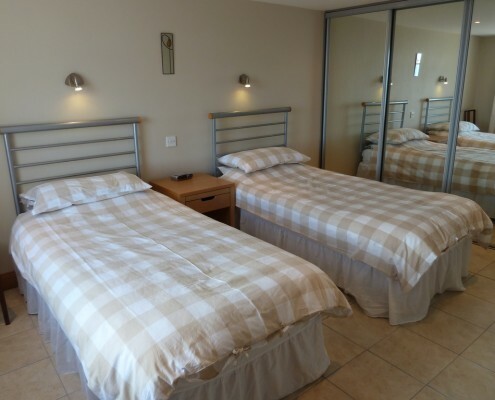 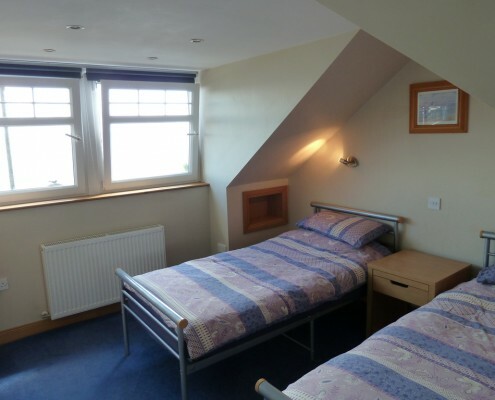 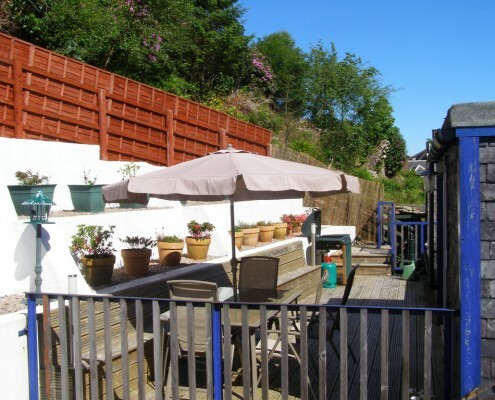 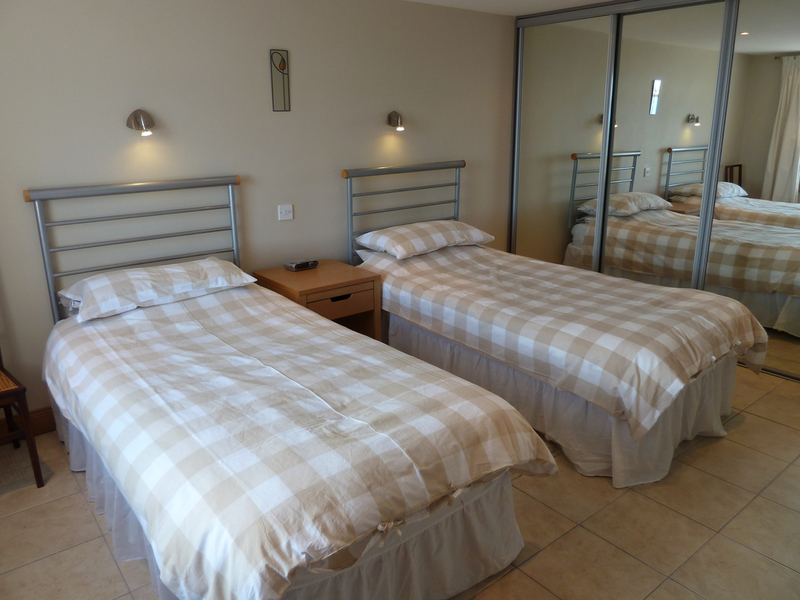 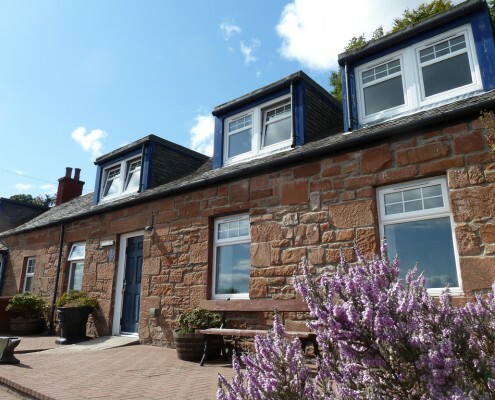 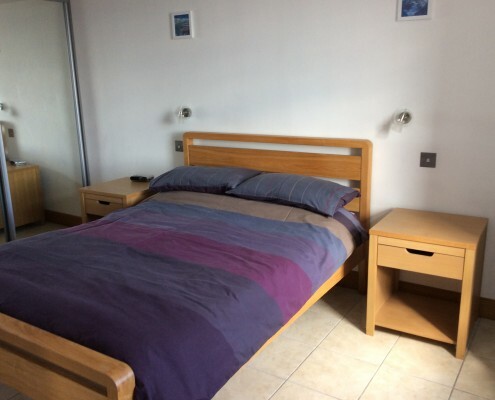 The ground floor consists of a twin bedroom, a double bedroom with en suite facilties, a bathroom with bath/shower and a utility room with a washing machine and tumble drier. 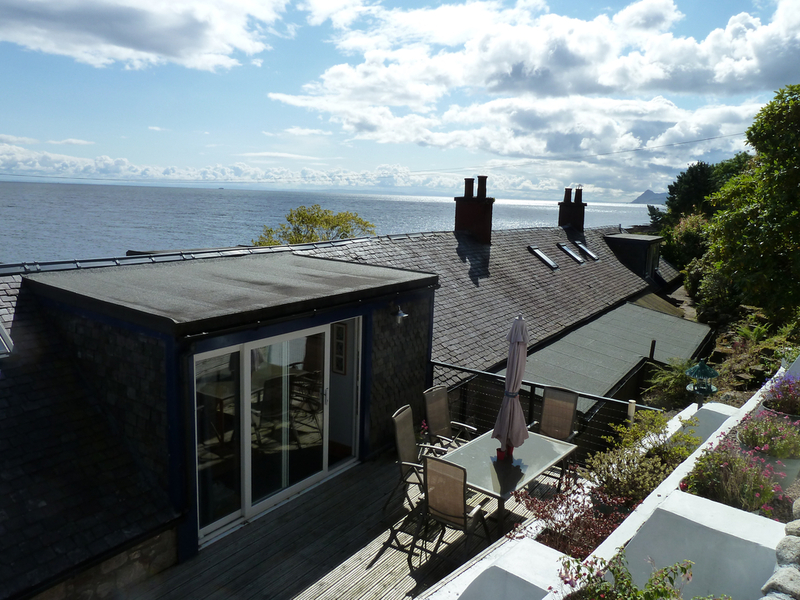 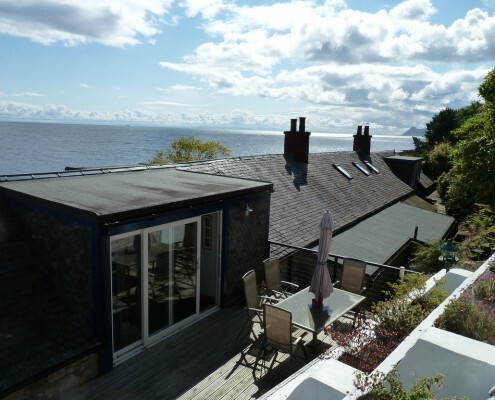 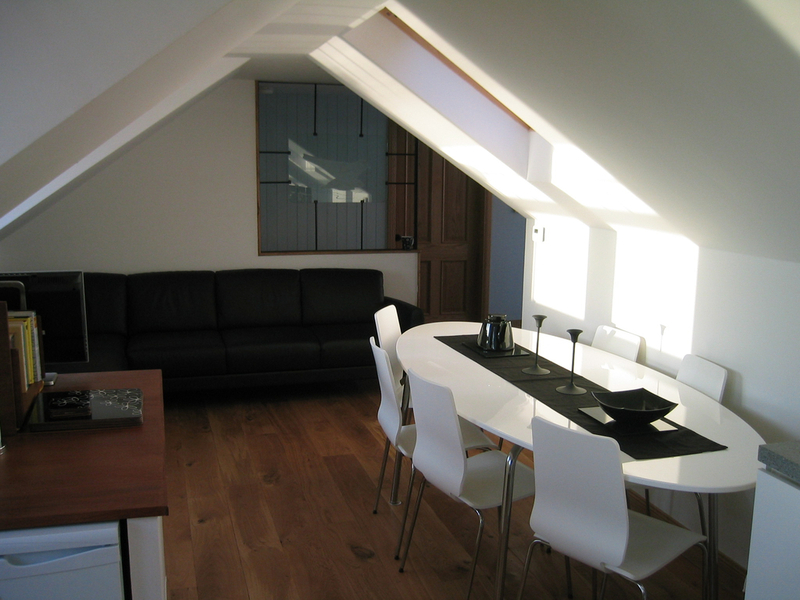 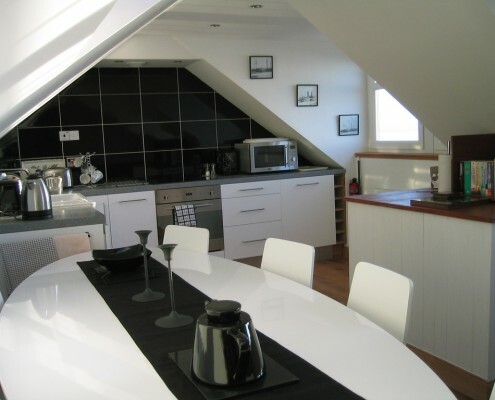 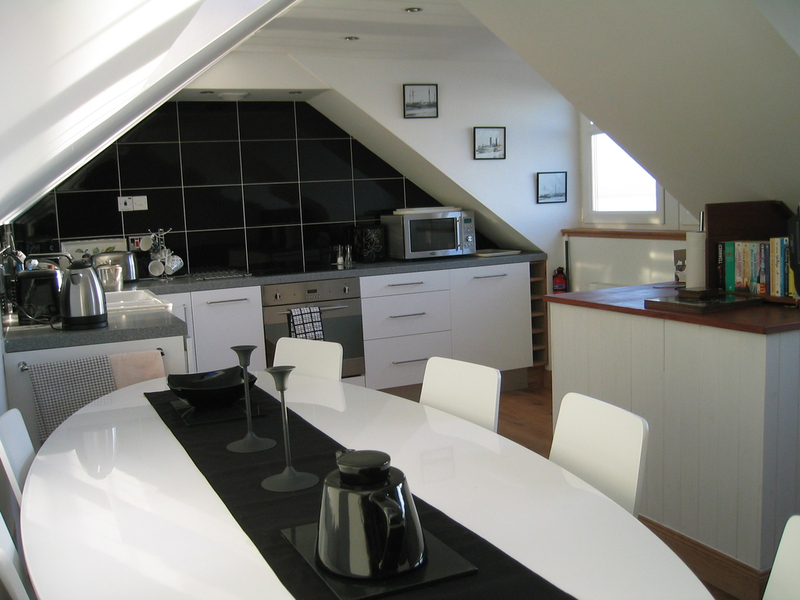 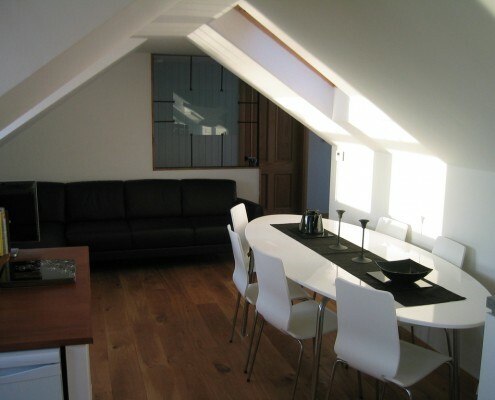 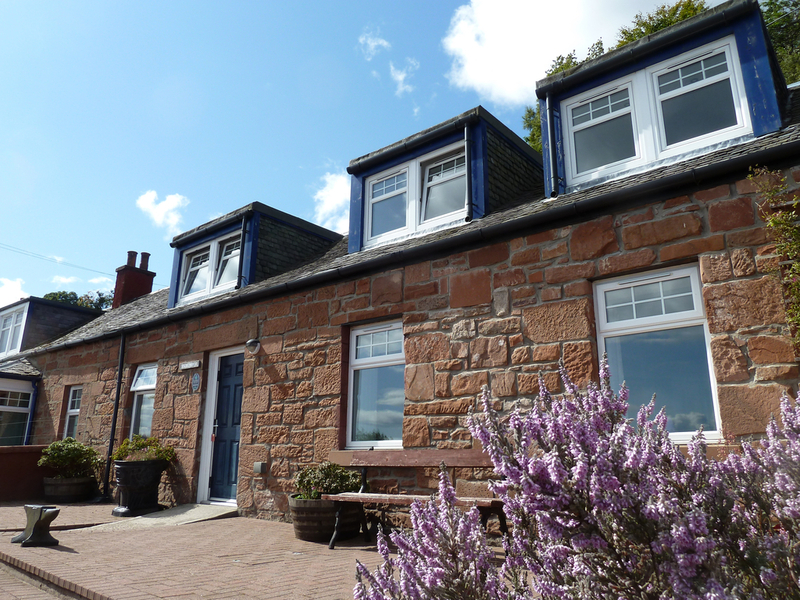 A twin bedroom and a fantastic open-plan kitchen/living area are located on the upper floor of the cottage. 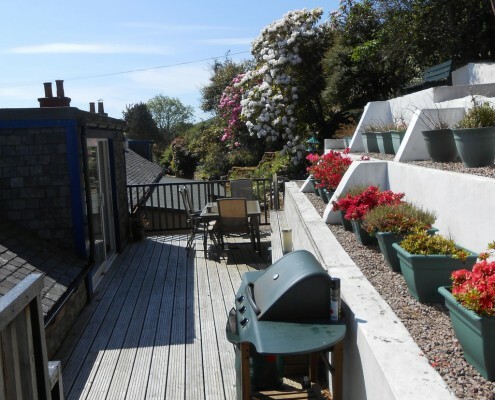 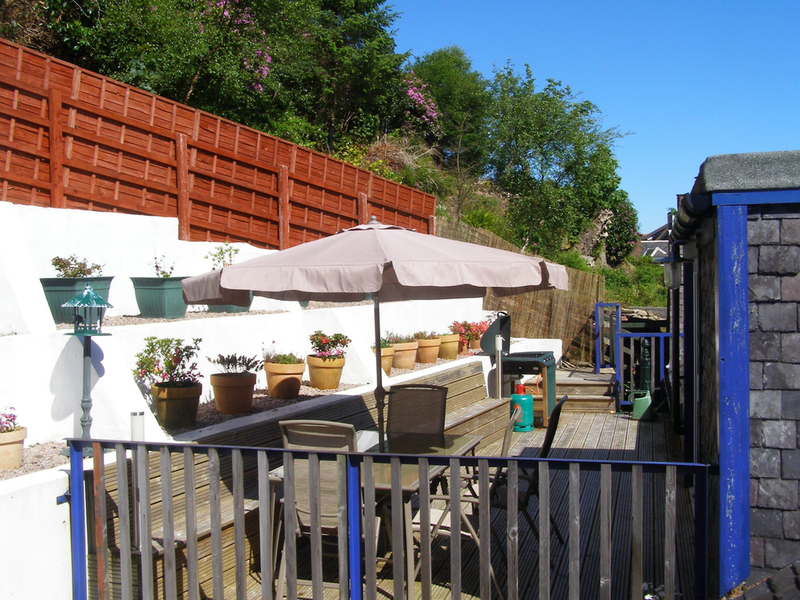 Patio doors lead from the living area out onto a spacious barbeque deck and terraced garden at the rear of the cottage. 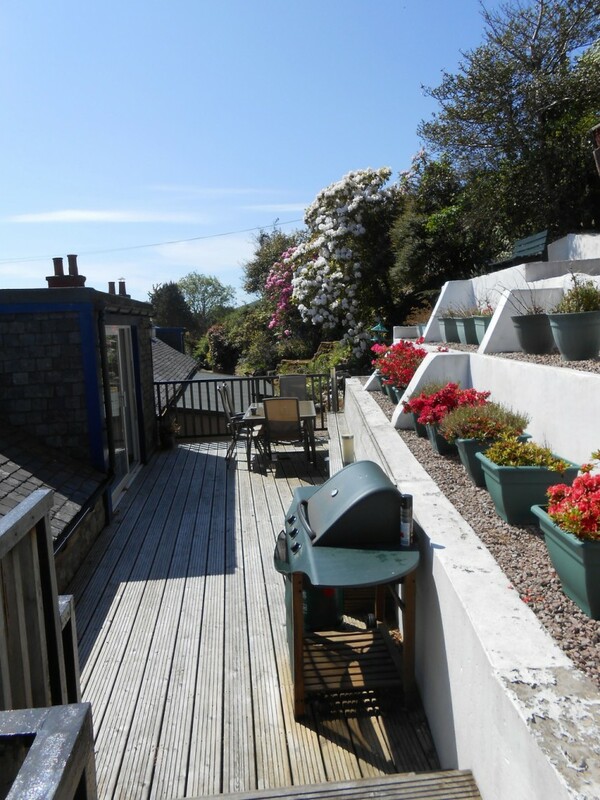 The top terrace of the back garden offers magnificent views of the coast – the perfect place to enjoy a glass of wine on a summer’s evening. 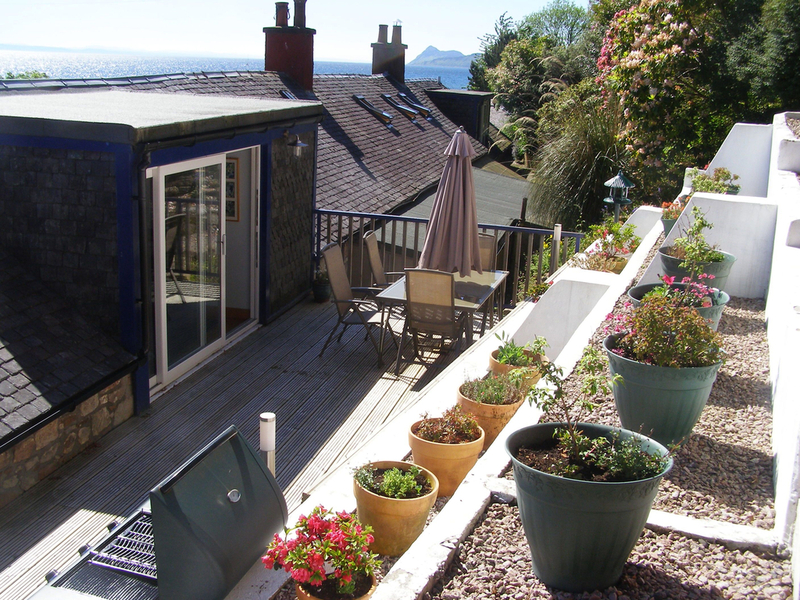 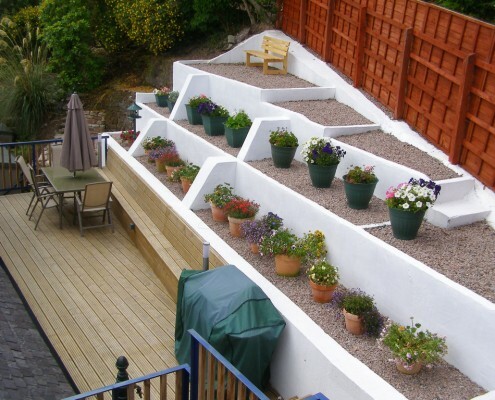 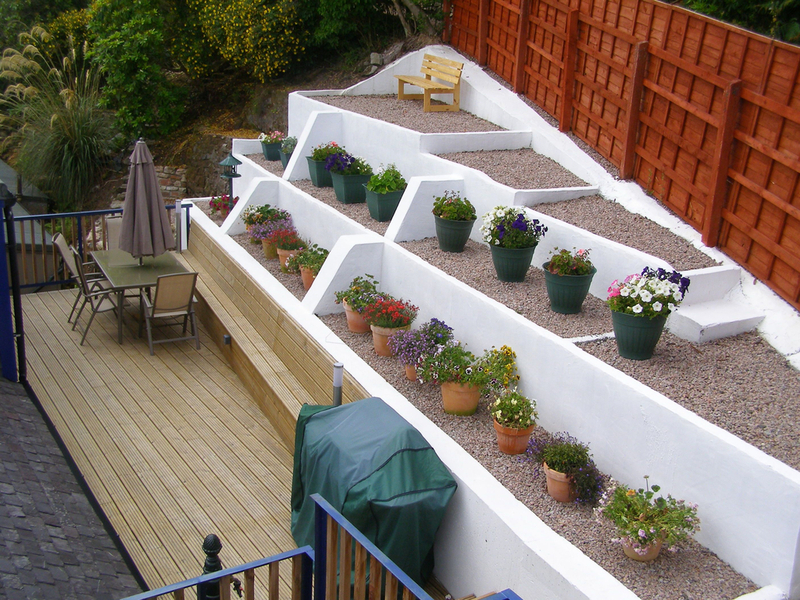 There is also an enclosed garden at the front of the cottage. 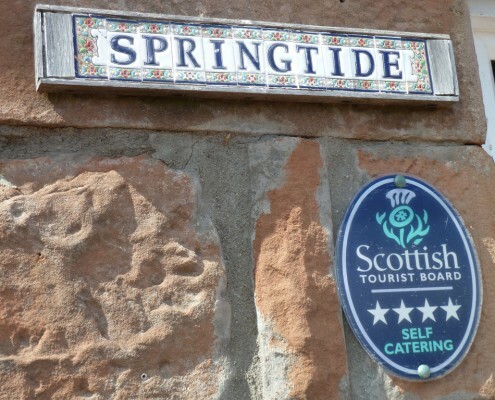 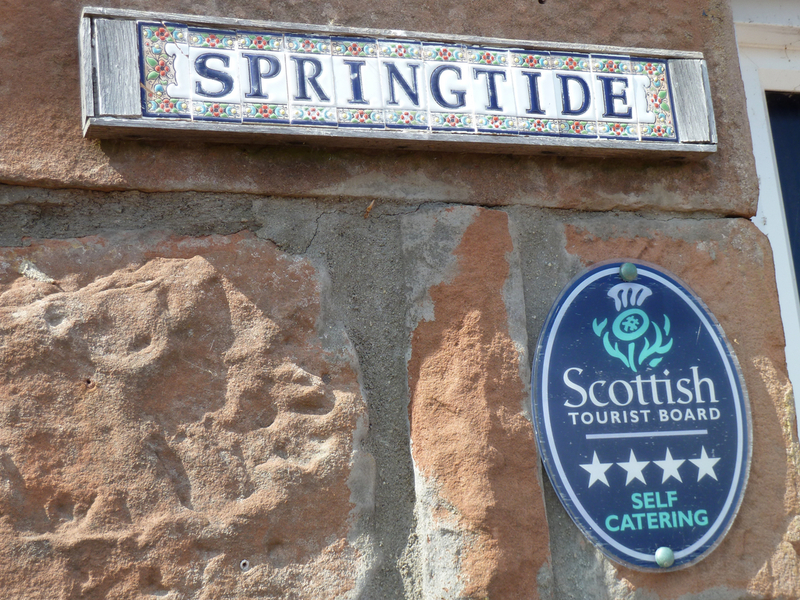 Springtide has free wi-fi for guests.